Your personalized design could represent your love for another person, your love for travel, or even your love for Dallas. Constellation is a series of touch screen monitors located along the inner wall of the GeO-Deck. 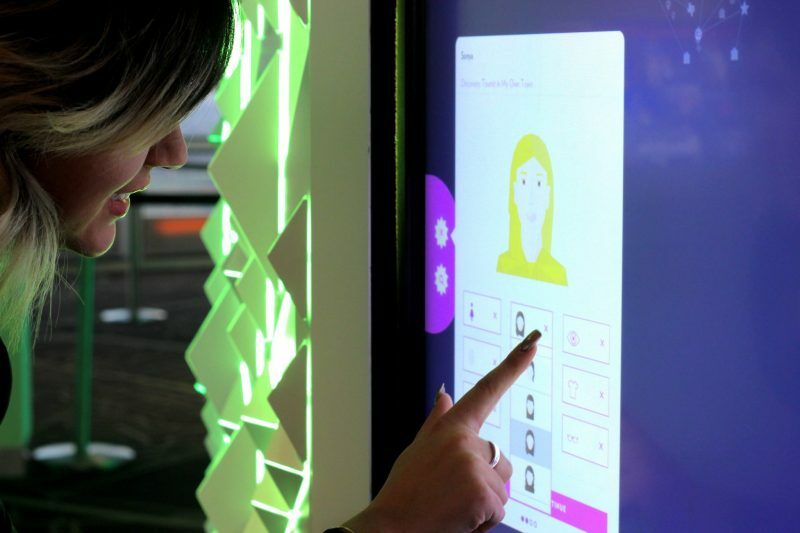 Screen prompts encourage visitors to add their name and geographical information to a star, create an avatar and describe their experience with creative illustrations. Each visit begins as a single “star,” and additional visits result in a larger Constellation.